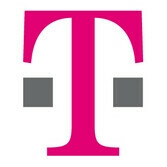 Judging by a spy shot that a tipster sent to TmoNews, T-Mobile will be getting a couple of new smartphones on September 26 – one by HTC and one by RIM. 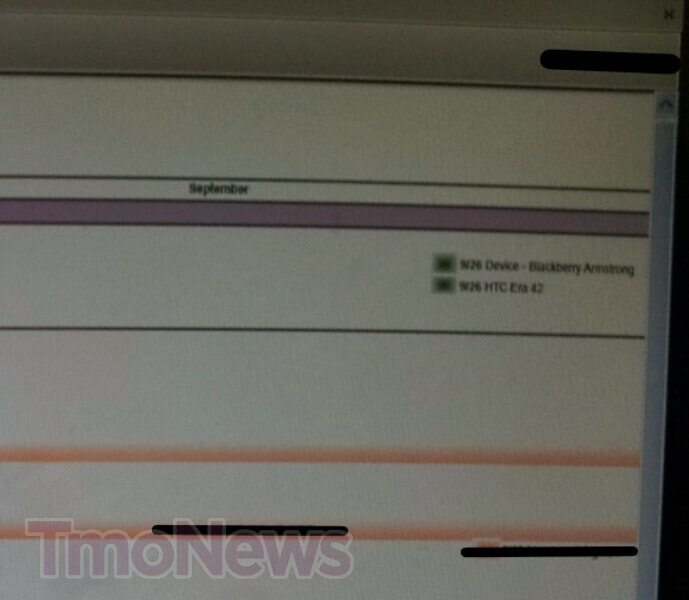 The devices on the agenda are codenamed HTC Era 42 and BlackBerry Armstrong respectively. That is pretty much all that the leaked image reveals, which leaves plenty of room for speculation. Some say that the HTC Era 42 could be a successor to the old-school T-Mobile G1 since the latter was once known by the Era G1 codename. To that we can add that the "42" in the device's name likely indicates it will be an HSPA+ device rated for 42Mbps speeds on the downlink. Of course, this is just a guess that can end up being totally wrong. About that BlackBerry Armstrong, no, it isn't a BlackBerry 10 device. Those are not coming until next year, unfortunately. We are dealing with a low-end handset – the BlackBerry Curve 9320, to be more specific. The smartphone is more or less identical to the Curve 9310 for Verizon and Boost Mobile. Let us remind you once again that the above information is based on a leak, so it might be inaccurate. We hope to hear more about that mysterious HTC Era 42 as its alleged release date approaches. Something new to the G-series? Wasn't there a rumor a while ago about a version of the One X with stock ICS coming to T-Mobile? Since the G-series always has stock Android, it could very well be true. BlackBerry Armstrong-around very English a la Wriley or Rover. I might be interested in the "Era 42" if it is a 3rd gen successor to the G1 and has a physical keyboard. I know that the pickings are going to be really slim in Feb when it comes to high-end devices with keyboards, but that's what I'm going to be going for. I doubt quad-cores will be in the U.S. until later in the year, like October at the earliest. September 26th & October aren't that far apart, buddy. I'm assuming the HTC Era 42 is the HTC G3. Quad core processor, 4 inch display, physical keyboard, stock android?